For those who have been fans of Anderson Silva have every reason to be. He was a legacy in MMA, having won about 33 fights among 41 fighting events. It included a title run in the UFC that lasted about fourteen fights. He also won several accolades besides this feat. Many say that Spider, as his nickname is in the fighting circles, is coming to a close. That might be the case as every fighter has a career that comes to an end. However, with his son being the new rising star, it looks like Silva’s name will remain in the circles even after he stops fighting himself. Many experts state that Silva is creating his own legacy in his son. There are several footages that are emerging of his son Kalyl’s moves and they resemble some of the iconic moves of his father. Kalyl Silva showcases a similar range and length of his fighting styles as his father. 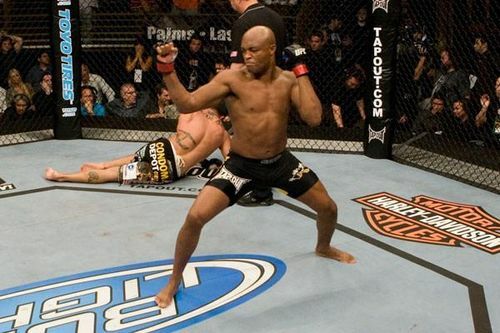 The styles are similar to what Anderson displayed when he played at Octagon. The styles and moves have a similarity that is uncanny. Though it is not sure whether the younger Silva will join the MMA. However, if he does, he definitely has learned from his father all the moves of a great artist in mixed martial arts. Anderson Silva has some challenges to finish as yet. Opponents like Demetrious Johnson, who has put away challengers like Henry Cejudo is now looking at beating Silva in the ring. Indeed, till the time Silva retires, he will find fresh opponents to face in the ring. This is natural and will only help to keep him agile and active in the fighting rounds till is decided to hang up his fighting gloves. And then maybe his son will take over.